Curve Digital and Perfectly Paranormal have announced Manual Samuel Defies Death will be making its way to Nintendo Switch on August 16. Manual Samuel Defies Death will be available via Nintendo eShop for £9.99/€9.99/$9.99. Manual Samuel is one of the wackiest titles to appear on the Nintendo eShop yet. Following the exploits of an arrogant trust-fundee who makes a deal with Death following a fatal car accident, Samuel is given one last shot at life if he can make it through a single day having to manually manage even the most instinctive tasks. 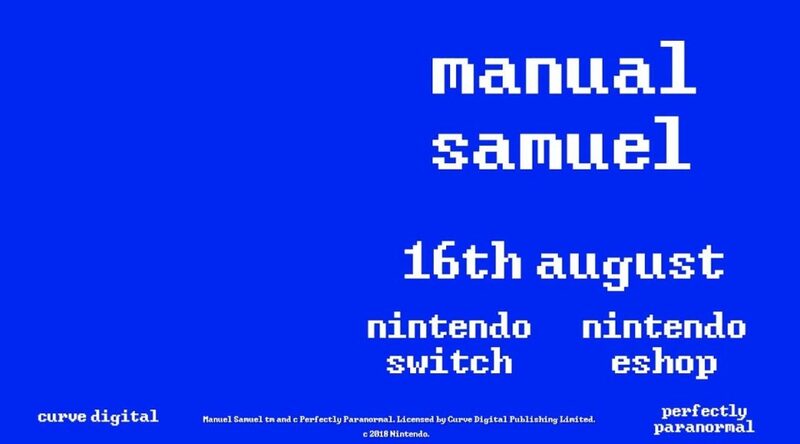 Players will have to deliberately manage Samuel’s walking, blinking, exhaling, and inhaling if they’re to guide this hilariously helpless human through an exciting day of getting dressed, drinking coffee, going to work, and navigating whatever hijinks ensue for a person incapable of peeing without the deepest of concentration and ninja-like reflexes. Manual Samuel features multiple game modes, including a Time-Attack high-score challenge and a co-op mode, in which two players collaborate to guide Samuel through the day.